02 aug 2018 What if you could accurately know which cities in your destination are the most visited, appreciated and popular? There are plenty of factors that can make a city worthy of travel and extended visits. Every city could nestle a hidden corner, be it a place of major historical value or an attraction at the forefront of innovation. Indeed, anything from cultural galleries and museums to typical venues to eat and drink well can make your destination attractive for visitors. Understanding why travelers are actually visiting some cities rather than others is a matter of assessing and scoring what is called the reputation of your destination, among other factors. 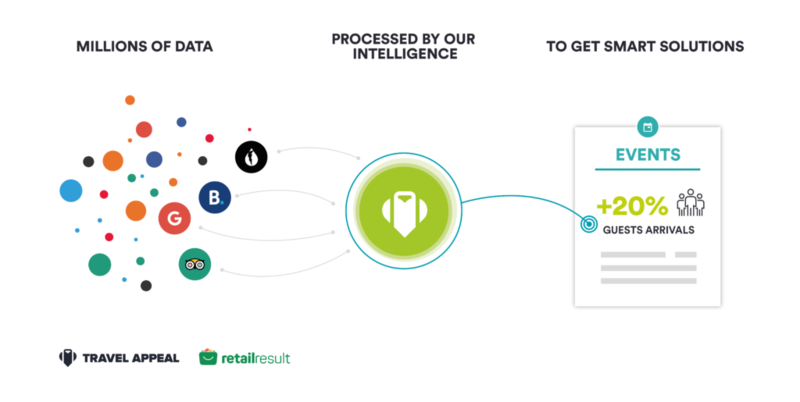 Acquiring these information is possible, in real time, by monitoring the complex flow of feedback coming from visitors. This “digital” feedback is expressed through various social channels, such as Facebook, Google or Instagram, and through review sites like TripAdvisor, OpenTable and others. It is essential to understand visitors perception in order to identify their evaluation criteria. This can be possible collecting various types of data: historical number of visitors, review trends, pricing trends, seasonality trends and many many more. Along with a quantitative analysis, qualitative analysis will help discovering the most popular topics about every top city in your country. Imagine ranking the most visited cities in your destination: which city would be in pole position? Most visited cities, most talked about ones, most popular topics, most appreciated elements..In the Destinations Dashboard you will have a clear overview of the cities’ ranking within your destination, country or district. You can filter and drill down by several evaluation criteria: number of visitors, online contents, sentiment. Our Destinations product uses algorithms which match those criteria with several types of historical information: reviews, conversations, seasonality, prices and other data regarding your destination. Then, it turns them into actionable insights. Destinations is the artificial intelligence tool that allows you to identify the ranking of the most visited cities of an entire destination or of a specific district. Which are the most popular ones in the visitors’ conversations? What do travellers have say about your destination? Each departments is thoroughly mapped and each property is individually scored basing on customer feedback and visitor sentiment. Our software provides you with trending properties, helps you assess which areas of the city are the most attractive and allows you to really understand the city performance in a very easy yet detailed way, through several performance indicators. 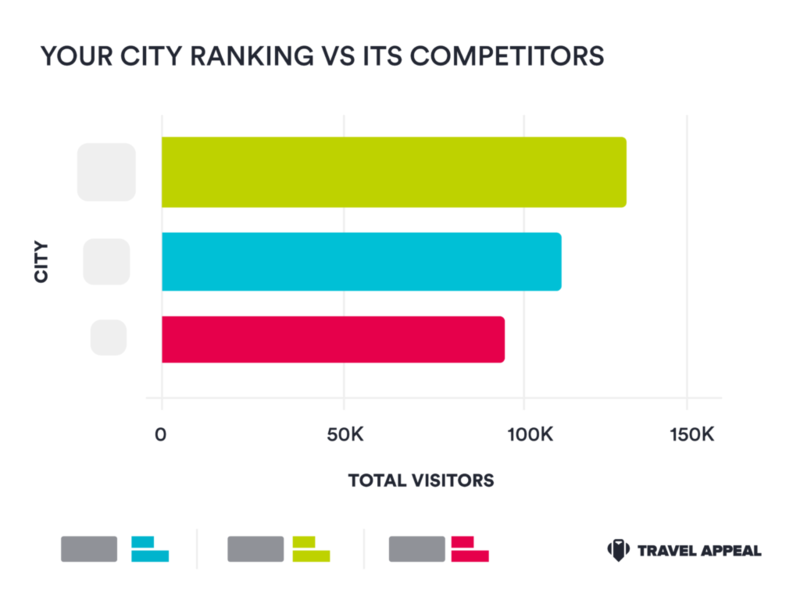 What if you could tell why visitors are actually visiting your city? Our engine is able to detect what travelers are talking about in their conversations and reviews, score the sentiment for each opinion they express so you can have an overview of the most popular topics and valuable feedback about your initiatives. All this data can be compared with competitor cities and destinations! Have you ever wondered what really makes your city attractive compared to competing ones? How are your competing destinations performing? Are you interested in analyzing other aspects and finding out which are the main cities according to a specific criteria or KPI? Request a demo and find out more about Destinations! Design marketing strategies and communicate the main assets of the cities, on the basis of the most appreciated by visitors per city, identified by the Dashboard. Choose the most influential city or the most appreciated aspect of your destination to invest in. Create targeted and customized experiences in your destination for travellers and locals alike, also based on the number of visitors. Identify which services need to be improved and for which cities. 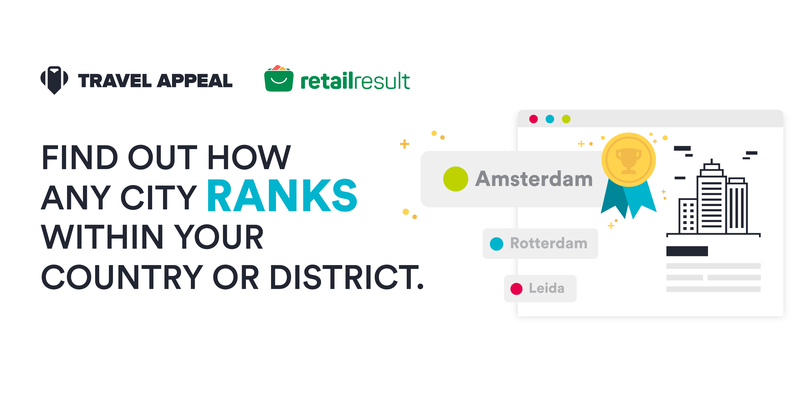 Travel Appeal “Destinations”, distributed by Retail Result, is a tool that is easy to use and built on real-time data science and incredibly accurate analysis methods. 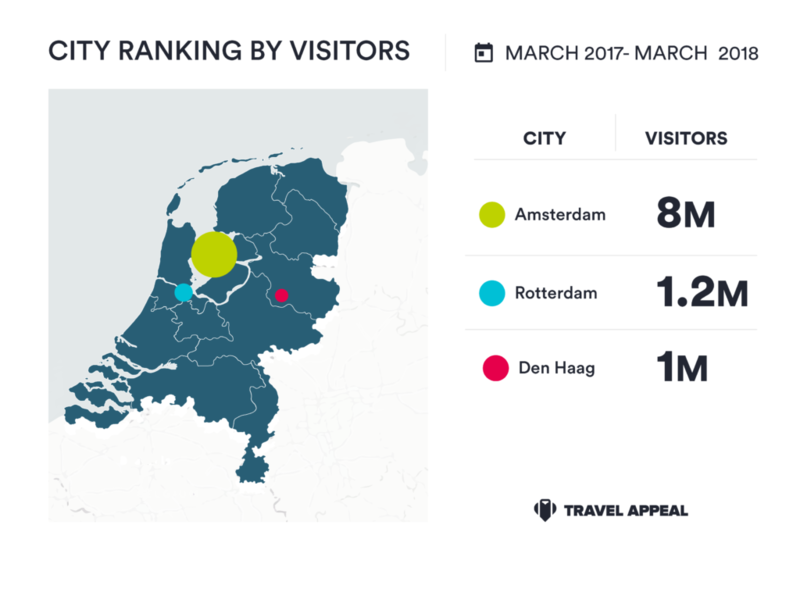 Destinations identifies the ranking of the most visited cities of your destination, in real time and – by integrating reviews, contents and occupancy data – is able to elaborate the ranking of the main cities also for content produced and sentiment.